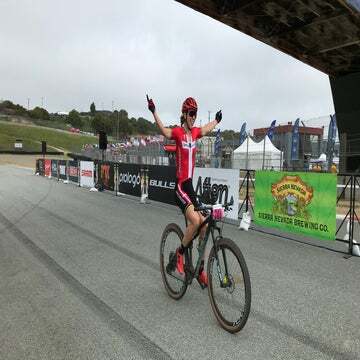 Take a stroll through Sea Otter Classic and you will see the next generation of great American cyclists learning to love their sport. Take a stroll through the infield at the Sea Otter Classic and you will see the next generation of great American cyclists learning to love their sport. Youth cycling is a major focus at Sea Otter. Since the festival’s inception in 1991, thousands of children have discovered the joys of cycling and racing on the Laguna Seca racetrack. Today, Sea Otter holds competitions for junior riders across all disciplines. The festival also hosts multiple cycling programs that focus specifically on young riders. Yet fostering a love of cycling within today’s children presents a challenge. The tug of the digital world keeps many kids inside, and the plethora of other sports and youth activities means that kids have more options than ever. How can cycling find a way into their lives? There are a handful of youth programs that operate at Sea Otter that are finding new ways to win kids over with bikes. Every year the Little Bellas mountain bike program hosts a three-day skills camp for young female riders at Sea Otter. Founded in 2007 by sisters Lea and Sabra Davison and their friend Angela Irvine, the Little Bellas teaches young girls, ages 7-16, to love mountain biking and to develop self-confidence through activity. It’s a simple concept that, in practice, is quite challenging. Sabra Davison, the group’s executive director, says the program emphasizes fun over everything else. At first glance, a Little Bellas camp appears to have very little to do with cycling. After arriving with their bicycles, helmets, and safety gear, the young girls spend the first 20 minutes or so painting each other’s faces, playing tag, or playing the game “two truths and a lie.” Davison and her mentors encourage the young girls to have fun away from the bike. Only after the girls have met each other and established a bond of friendship do they climb aboard their bicycles and go ride. On the rides, the girls play more games that develop basic to intermediate cycling skills. They learn how to navigate a cones course at slow speeds. They ride along the dirt “pump track” course at Sea Otter and practice the skills required to navigate the berms, bumps, and whoop-de-whoops along the track. Davison says the focus of the camp is not just to teach the basics of cycling. It’s to show young girls that cycling and a healthy lifestyle can be part of their identity. If young girls are able to foster a love of cycling when they are children, that passion can last them through adulthood. For those children who want to progress into competitive cycling, there is another program that helps them maintain their passion for the sport. 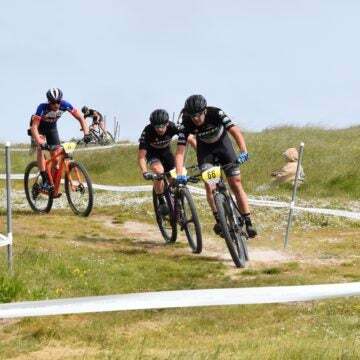 The National Interscholastic Cycling Association (NICA) operates competitive mountain-bike racing teams at high schools across the country. For 2018 NICA has organized leagues in 22 different states. 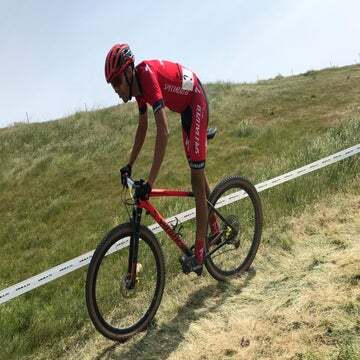 NICA does not hold official races at the Sea Otter Classic, however, dozens of NICA participants will be there to race in the junior events throughout the weekend. And NICA traces its roots to Northern California. In fact, the organization traces its roots to Berkeley High School just two hours north of Monterey. Just like Little Bellas, NICA encourages kids to love cycling through the creation of community. Unlike traditional varsity sports, which welcome the talented athletes while sending the less-talented ones home, NICA welcomes kids of all abilities. Volunteer coaches and mentors take kids on organized rides and teach them the basics of mountain-bike skills. Kids then progress on to races, which are held almost every weekend in either the fall or the spring. And the kids participate in races based on their skill level; a typical NICA weekend holds races in four categories so that every participant has an opportunity to compete. NICA is thriving. In 2017 the group had more than 14,000 participants. Whether they are learning to ride or race, young cyclists can still look to the Sea Otter Classic for the resources they need to love the bicycle.